Beautiful home sweet home in Phoenix. Soaring ceilings and a custom color palette throughout. Eat in kitchen is complete with a plethora of cabinets, tiled counters, center island, and black appliances. Two bedrooms and full bathroom downstairs. Upstairs resides two more guest rooms with full bathroom. Master suite is also upstairs with plush carpeting and a spacious walk in closet. Full spa bathroom with dual sink vanity and separate soaking tub + shower. 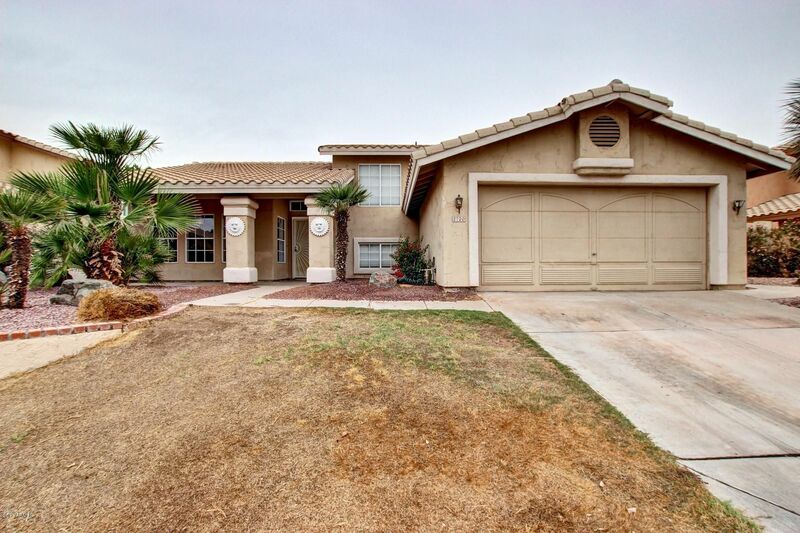 Backyard features a covered patio with desert landscaping and plenty of room for entertaining. This home is sure to go quick, so come see it today!